How Can I Soften My Bath Water? Bath salts – These don’t only perfume bath water, they also soften it by releasing sodium and potassium ions that replace the calcium and magnesium that cause water hardness. Baking soda – While adding baking soda to your bath won’t chemically soften the water, it will make it feel slicker and cause your skin to feel softer. To try this method, add ½ a cup of baking soda to a tubful of water and soak in the bath for about 15 minutes. 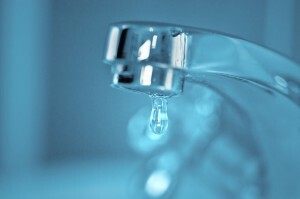 Install a faucet filter – Some faucet filters claim to make your skin and hair feel softer by removing chlorine from your water. While this might help offset some of the drying effects of chlorine, keep in mind that faucet filters cannot truly soften bath water. You might find that some of the methods above will help your skin and hair to feel less dry. But keep in mind they are only temporary remedies. Do you really want to have to add bath salts or baking soda to your bath in order to avoid hard water? Are you going to be able to take baths every day, even when you’re in a rush? If you answered “no” to these questions and instead want to find a long-lasting solution that will soften your water in your entire home, as well as potentially increase your water pressure, then RainSoft can help you. If you want to learn about how a RainSoft water softener can permanently soften your bath water and all the other water in your home, contact your authorized RainSoft dealer today.